Chowbus makes ordering authentic Asian food easy by curating featured dishes from top restaurants and delivering them to your home or office. 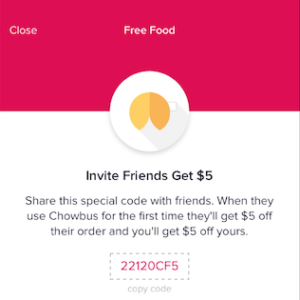 Get $5 Free Chowbus Credit: Just download the Chowbus App, create a free account, and enter Referral Code 22120CF5 in the “Enter Referral Code” section under your Profile menu to get an instant $5 credit to use toward your first order. Chowbus currently serves Chicago, Boston, Philadelphia, Champaign, Manhattan, East Lansing, Seattle, and West Lafayette (more cities coming soon). Chowbus lets you select from all of your favorite Asian dishes, bentos, sides, salads and drinks in a single location. You can explore the best international foods in your town, and then bundle your order with nearby restaurants for free. Their menus rotate on a daily basis, so there’s always something new to try. A $1 Lunch Shuttle is available in Chicago and Boston, while full delivery and pickup services are available everywhere else. 1. Download the Chowbus App for iOS or Android. 2. Create your free Chowbus account. 3. Enter Referral Code 22120CF5 in the “Enter Referral Code” section under your Profile menu. 4. 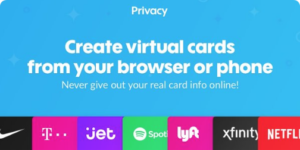 The $5 free credit will instantly appear in your “Credits” on the Profile menu. 5. The $5 credit will automatically be applied toward your first Chowbus order. In addition to the above referral code, you may be able to use this Chowbus promotional code to get an additional $5 off your first order. For your first order, use Promo Code TAKE5 to get $5 off. Enter this promo code during checkout on your first order to possibly get an additional $5 discount on top of your $5 referral credit. This promo code is sent out to all new Chowbus members via email when you join. Once you create your free Chowbus account, you can participate in the Chowbus Refer-A-Friend Program. Just visit the “Invite Friends Get $5” section under your Profile menu in order to participate. When you share your referral code with friends, they will get $5 off their first order, and you’ll get $5 off your next order. Only new Chowbus members who use your referral code and place their first order will qualify. All of the $5 referral rewards that you earn will appear in the “Credits” section under your Profile menu. 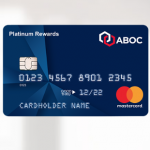 You can stack as many referral credits as you like to eventually earn some free food from Chowbus. Please feel free to share your experiences with order Asian food through the Chowbus platform along with your referral codes in the comments below this article. Unlimited Free Delivery on All orders over $20. 10% Off for Restaurants You Have Not Tried Yet. 10% Off for All Pickup Orders. Cancel Anytime with No Cancelation Fee. Sign up for Chowbus to order the best Asian food for delivery and pickup in your town, and get a $5 free credit to use toward your first order. A special thank you goes out to our reader Toby for sharing this offer. Please feel free to use his Chowbus Referral Code 0CFBFAAE to get your free $5 credit.